This entry was written by Sarah Jenkins, posted on 04/16/2015 at 11:16 pm, filed under April 2015 category. 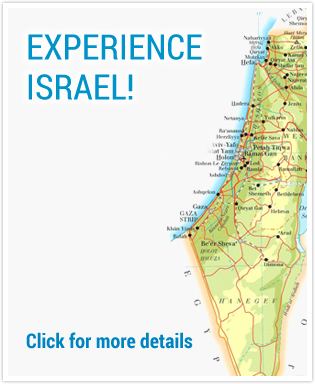 A group of pilgrims left Virginia with anticipation of seeing what God had in store for them in the Holy Land of Israel. After a bus ride to Dulles and a long day and night of time zone transitions, we arrived in Tel Aviv, Israel. We were relieved to finally catch up with our tour leaders and our pastor, who have been part of the Words of Victory delegation that attended the Holocaust Remembrance ceremony. We were also excited to meet up with our tour guide, Yuval. Our group is tired but so excited! After a hasty check in at our hotel, the Dan Panorama in Tel Aviv, we are soon on our way to Joppa. Many of our newcomers were delighted by their first look at the modern whale fountain that marks the entrance to the town. Once we had posed for some pictures, we trotted off to explore the town. Joppa is one of the oldest continuously inhabited cities, with over five thousand years of human history. 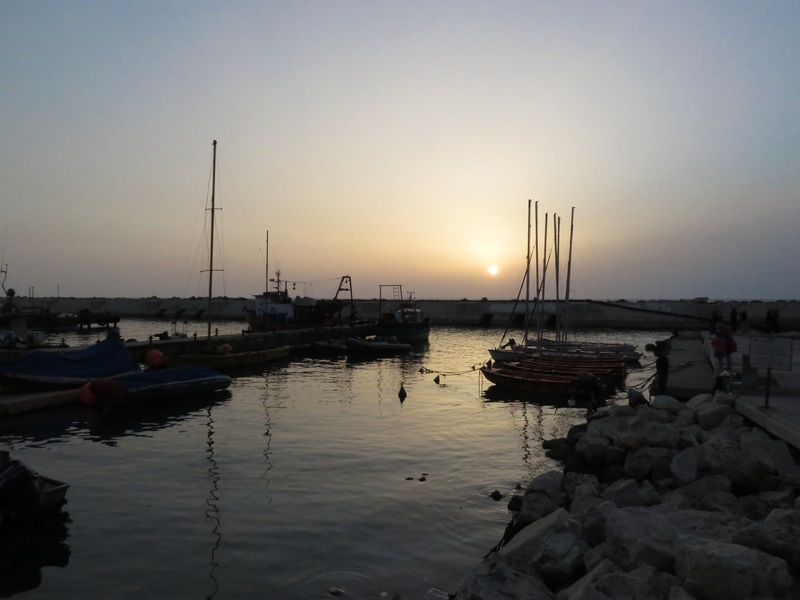 Joppa’s biblical significance includes the Old Testament account of Jonah, who departed from this ancient port to Tarshish and was swallowed up by a great fish after being thrown overboard by a panicked crew during a horrible storm. 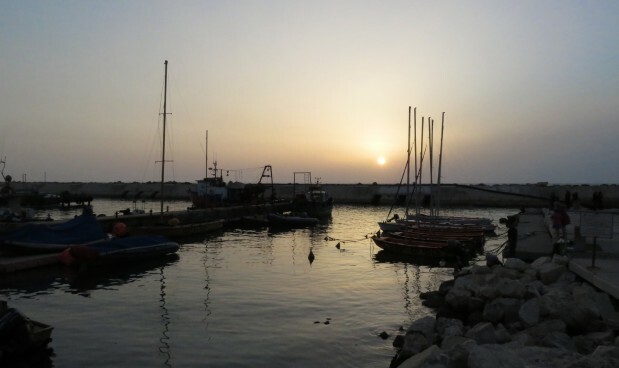 The New Testament cites Joppa as an early community of Jewish believers in Yeshua as Messiah. When one of the cities’ leading citizens, Tabitha, fell ill and died, Peter is summoned to help. He restores the life of Tabitha and remained in the city afterword. Yuval took us to the house of Simon the Tanner, with whom Peter was staying when God gave him the vision of the sheet and the unclean animals (Acts 9:43-10:23.) This vision was given as a precursor to Peter’s ministry to the Gentiles, and it also absolved him and all followers of Yeshua of the Old Testament requirement to keep the kosher standards. We walked through the ancient streets of the small city, enjoying the cool sea breeze and comfortable 70 degree temperatures. We arrived at an overlook just in time to see the sun break through the clouds in a spectacular way, and watched it shimmer on the waves of the rough sea. We were delighted to see such a wonderful part of God’s gorgeous creation. Once we had finished at the overlook, we returned to the bus for a short ride to our nearby hotel to catch up on some much-needed showers and sleep, as well as enjoy delicious meal.